In answer to McDonald's recent release of new Cheesy Bacon Fries, Wendy's is offering a mobile app offer good for free Baconator Fries with any in-restaurant purchase through February 17, 2019. 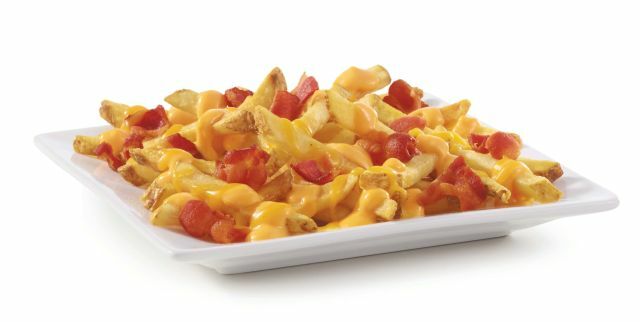 Baconator Fries consists of natural-cut, skin-on, sea salted French fries topped with warm cheese sauce, shredded cheddar cheese, and pieces of applewood-smoked bacon. Rather than a one-time use coupon, the offer refreshes once each day.